Plan on attending BuzzFest at the Cynthia Woods Mitchell Pavilion on Saturday, October 22, 2011? Stop by the DefensiveDriving.com booth to have your picture taken with The Buzz Hottie Possie! If you don’t know who the Hottie Possie is…Each month, The Rod Ryan Show on The Buzz, features the hottest women in the Houston area here on TheBuzz.com, a Web site that receives millions and millions of pageviews! Each monthly winner becomes an official Rod Ryan Hottie Posse member and is featured online. Come by the DefensiveDriving.com booth to have your picture taken with the Hottie Possie and sign up to be registered for a $50 American Express card. We will be giving out 4 cards for entries during the day! 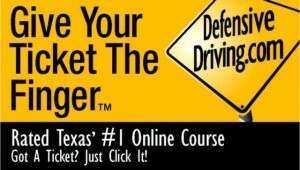 Don’t forget DefensiveDriving.com for ticket dismissal, auto insurance discounts and point reduction! We also offer Corporate Driver Training discounts. Call 888-545-5422 for more information.